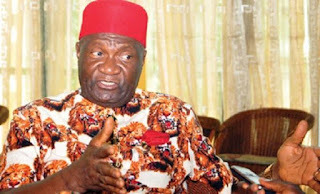 Former Secretary General of Ohanaeze Ndigbo, Chief Nduka Eya has described the explosion which occurred at the Ukehe, Igbo-Etiti Local Government Area country home of Chief Nnia Nwodo as an indication of the rascality and desperation of some Igbo youths who lacked respect or honour for dignity. Chief Eya said although the explosion also showed the ‘quantum of insecurity in the country,” he attributed it to some Igbo youths who he said wanted to introduce strange happenings in Igbo land. 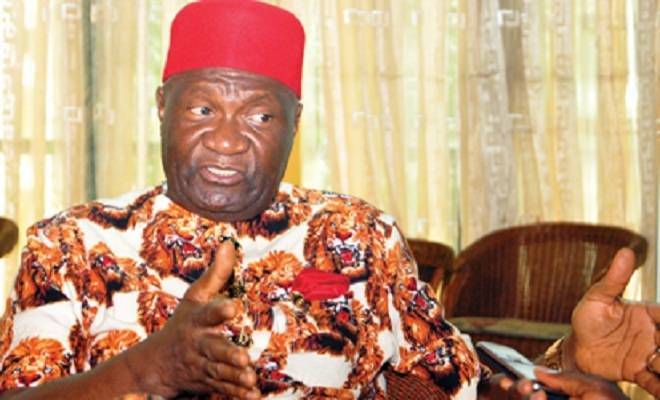 Daily Trust recalls that an explosion occurred at the residence of Nwodo in his Ukehe community, Enugu State at about 9.00am on Sunday when a device was reportedly hurled over the fence into the premises by an unknown person. Similar incident was recorded at the Ohanaeze Secretariat at GRA, Enugu few years back during the tail-end of Chief Ewo Gary Igariwey as Ohanaeze President General. Enugu State Police Command described the explosion at Nwodo’s residence as “minor,” insisting that it affected two windows in one of the houses in the compound. The State Commissioner of Police, DanMallam Mohammed who visited the place, advised the natives to be vigilant always and report any strange face to security men. He said it was important that the Enugu State Commissioner of Police, visited the scene of the incident to assess the level of destruction, and promised to investigate it to bring the perpetrators to book as a deterrent to others.